TOKYO -- Nissan Motor Co. will return to normal production levels globally in October, after Japan's devastating earthquake and tsunami disrupted supply chains and forced factory stoppages, CEO Carlos Ghosn said on Thursday. Speaking at a news conference following the announcement of the carmaker's fourth-quarter earnings, Ghosn said there was no change to his strategy of producing 1 million vehicles a year in Japan. Nissan lost production of 55,000 units in Japan in March, compared with the company's original plan. In addition to disruptions at suppliers, a Nissan Iwaki engine factory in Fukushima prefecture was damaged in the earthquake and was shut until April 17. Apart from its Kyushu plant in southern Japan, all of Nissan's car-building factories were shut until March 23. 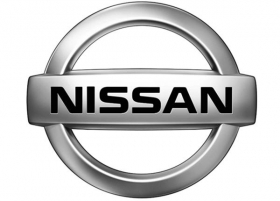 In April, Nissan's production volume in Japan was at about 40 percent of last year's level and output this month is at about 50 percent, the company has said. Production has also been halted periodically from April at factories in Mexico, the U.S. and the U.K. In China, plants are halting weekend and overtime shifts. Nissan, Japan's second- largest automaker, posted better-than-expected fourth-quarter profit after the earthquake halted factories and crimped domestic sales. Net income was 30.8 billion yen ($380 million) for the three months ended March 31, compared with a loss of 11.6 billion yen a year earlier, beating the 23 billion yen average of five analyst estimates compiled by Bloomberg. Sales rose 10 percent to 2.35 trillion yen, the company said Thursday. The automaker boosted profit even as Toyota Motor Corp. reported a drop in earnings after the 9-magnitude temblor and tsunami in March damaged parts factories and power plants, causing shortages of components and electricity. Ghosn has said the current quarter will be tougher for the company and its Japanese rivals as they recover from the plunge in sales and factory disruptions that followed the March 11 earthquake. "Nissan has a lower dependency on Japan production than Toyota, so the impact on earnings is smaller," said Koji Endo, an auto analyst at Advanced Research Japan in Tokyo. Toyota, the world's biggest automaker, reported a 77 percent plunge in fourth-quarter net income Wednesday. Nissan built 25 percent of its vehicles in Japan last fiscal year, compared with 45 percent at Toyota. Third-ranked Honda Motor Co. made 26 percent of its cars at home. Nissan moved Japan production of its March small car to Thailand in July partly because of the yen's gain, and imports the model to Japan. Helped by the compact's sales, Nissan's domestic sales drop last month was limited to 37 percent, while the drop was 69 percent at Toyota. "The March 11 earthquake in Japan significantly disrupted our operations," Ghosn said today in a statement. "Although the effects of this tragedy continue to affect our operations, we are poised for a robust recovery." Shares of Nissan rose 1.4 percent to 795 yen at the close of trading in Tokyo, before the earnings announcement. The stock has dropped 2.6 percent since March 10, the day before the earthquake.